Its almost the original shoe style. Three pieces of leather, no pattern or punching, just simple and clean. 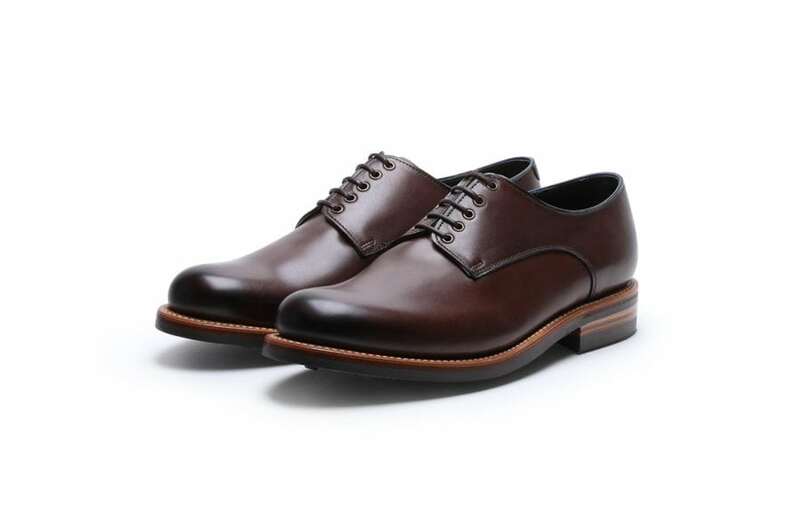 Ours has a double dainite sole, and has a reassuring round toe. This one comes in dark brown leather.